Cast Your Vote in Goodwill's Halloween Costume Contest! Your vote matters! Take a look at all the AMAZING entries in our 2018 Halloween Costume Contest! Participants were asked to flex their creative muscles while utilizing items found at Goodwill. Vote for your favorite entries now! That's right, Sweetest Day is this Saturday, October 20th! But don't panic, Sweetest Day is all about letting others know how much you care—so why not show your love with a gift from Goodwill? And, we hope you'll consider rounding up to the next dollar during checkout to help further support our mission of providing training, employment and supportive services for people with disabilities or disadvantages who seek greater independence. It really IS amazing what a few cents can do! Are you looking for an amazing career opportunity? Then check out our hiring event on Monday, November 5 at our Goodwill Store & Donation Center at 2003 Holiday Drive in Janesville from 10 a.m. to 4 p.m. We're looking to fill daytime team member positions. See a (Former) Bear Transform into a Monster at Goodwill! 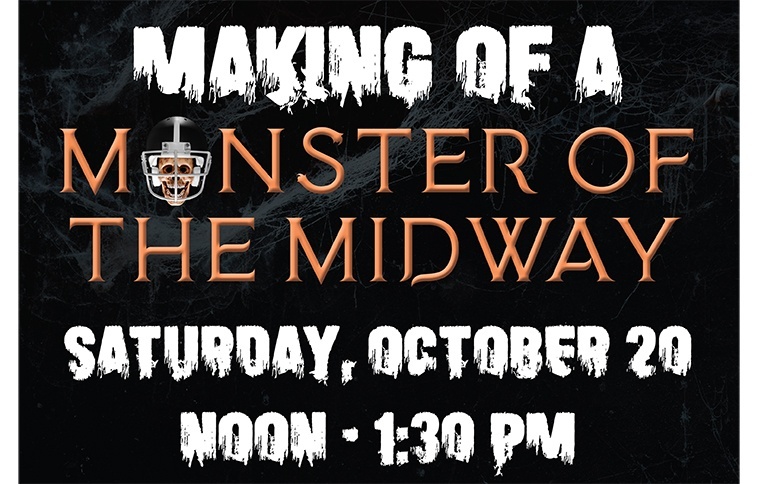 Visit the Goodwill Store & Donation Center in Woodridge on Saturday, October 20th between noon and 1:30 p.m. to see a professional horror special effects make-up artist turn Former Bears Defensive End, Alex Brown, into an off-the-field monster! Are you looking for an amazing career opportunity? Then check out our hiring event on Friday, October 19th at our Goodwill Store & Donation Center at 746 S. Rand Road in Lake Zurich from 9 a.m. to 6 p.m. We're looking to fill immediate full and part-time team member positions. What makes a skeleton dance? Customer Appreciation Day at Goodwill! On the 15th of every month we celebrate YOU—our Club Goodwill REwards members! So shop Goodwill this Monday, October 15th and save more when you spend more! Spend $15, save 15%. Spend $20, save 20%. Spend $25 or more, save 25% on your total purchase! Win Tickets to the Bucks Halloween Game Presented by Goodwill! The scariest time of the year is here! Goodwill and the Milwaukee Bucks are giving five (5) fans the opportunity to win tickets for a frightfully delightful night in the Halloween-themed Tower Lounge at the Fiserv Forum! Winners will watch the Bucks take on the Orlando Magic during the Halloween Game presented by Goodwill on October 27th, 2018. Enter Goodwill's Annual Halloween Costume Contest! That’s right, we want you to show us your crafty side and enter our 2018 DIY Halloween Costume Contest! Show off your creativity; use items from your local Goodwill to create your Halloween costume. Your friends and family, along with a panel of Goodwill judges will cast their vote on the entries. Win a Pair of Tickets to Sherman & Tingle's Friday Night Fever Halloween Party! Come meet Sherman, one of 97.1 The Drive’s dynamic morning duo at the Goodwill Store & Donation Center in Bloomingdale on Tuesday, October 16 from 5 to 7 p.m. Register to win a pair of tickets to the Friday, October 26 Sherman & Tingle’s Friday Night Fever Halloween Party! Ten pairs will be awarded! Watch WGN Radio's Good Buy Girl Judy Pielach demonstrate her Halloween how-to skills at the Goodwill Store & Donation Center in New Lenox on Sunday, October 14 from noon until 2 p.m. Judy has even created a Halloween masterpiece from merchandise found at Goodwill and one lucky customer will win it! Check Goodwill for Brewers Apparel! Cheer on the Brewers in style! Stop in at your local Goodwill Store & Donation Center and check our stock for team apparel. Milwaukee fan-favorite, Eric Thames found the perfect shirt at Goodwill, check out his shopping experience below! 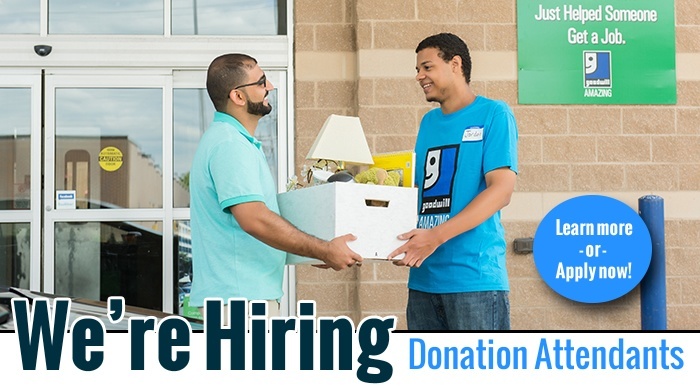 Our Goodwill Attended Donation Centers in Wilmette and Glenview, IL are hiring donation attendants! Donate your dining set to Goodwill and get FREE delivery on your new set from Steinhafels! It all starts on Sunday, October 14th and runs through Monday, November 5th. 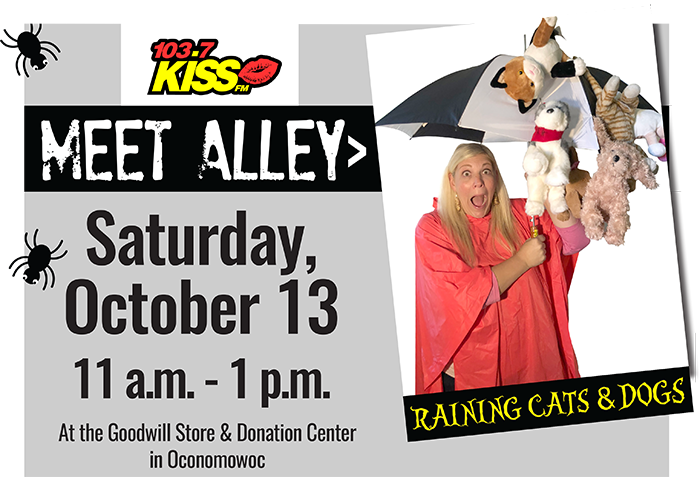 Meet members of the 103.7 KISS FM radio crew as they broadcast LIVE from select Goodwill Store & Donation Centers this October! 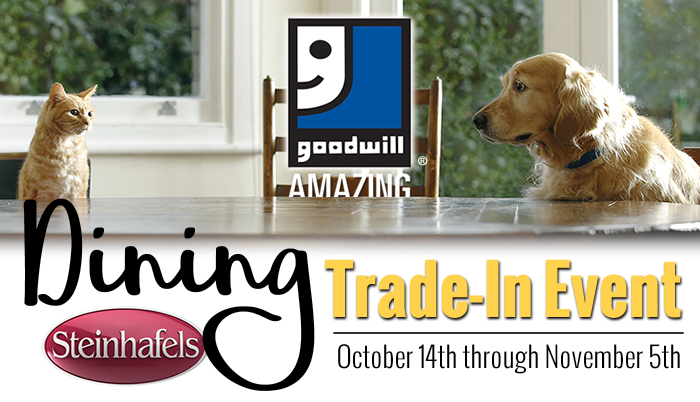 Enter Your Amazing Find from Goodwill for a Chance to Win! Have you found AMAZING Halloween items at Goodwill? Then show it off by uploading your photos now until October 21st for a chance to win one of 6 Kindle Fire Tablets and $25 Goodwill gift cards! Plus, one lucky GRAND PRIZE winner will receive a Samsung 49-inch 4K Ultra HD Smart TV plus a $50 Goodwill gift card! 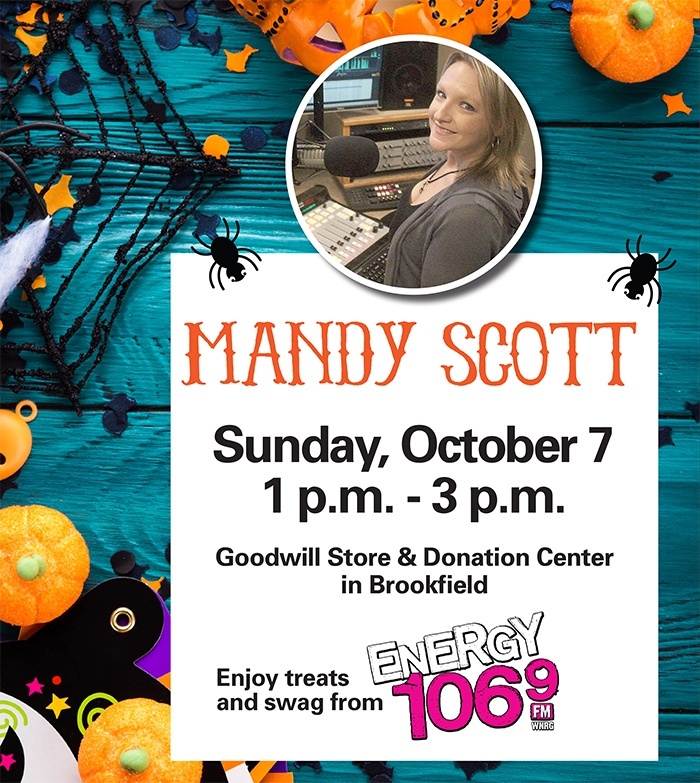 Join Mandy Scott from Energy 106.9 FM for some Halloween Fun at the Goodwill Store & Donation Center in Brookfield on Sunday, October 7 from 1 p.m. - 3 p.m.
Join Us for a Halloween Boo Bash! Get ready for a Boo Bash at four of our Goodwill Store & Donation Center locations in Illinois! 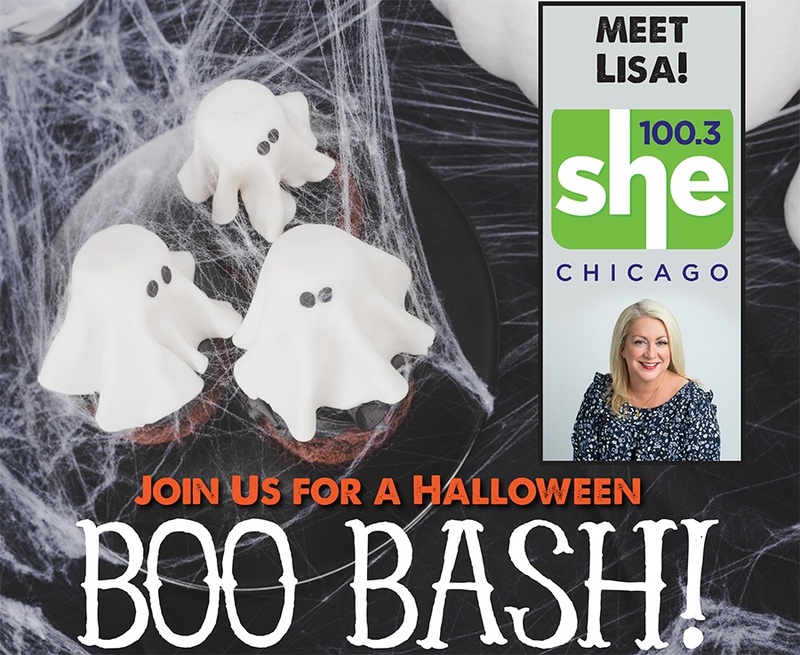 Meet Lisa Kosty from The New SHE 100.3 and spin the wheel to win tickets to Fright Fest, station swag and other great prizes. We'll have mini-bites and treats and a balloon artist or make-up expert on hand.